Emerging Leaders Conference offers legislative leadership opportunities to high school students. 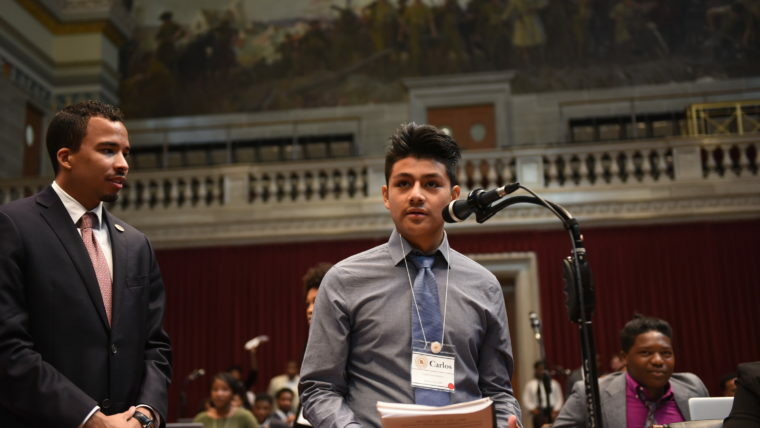 More than 50 rising Missouri high school sophomores, juniors and seniors participated in the legislative process during the annual Emerging Leadership Conference, co-sponsored by the University of Missouri Division of Inclusion, Diversity & Equity and the Missouri Legislative Black Caucus Foundation, Inc. Participants learned about 10 bills from the current Missouri legislative session. They then selected three of the bills to debate on the Capitol floor. 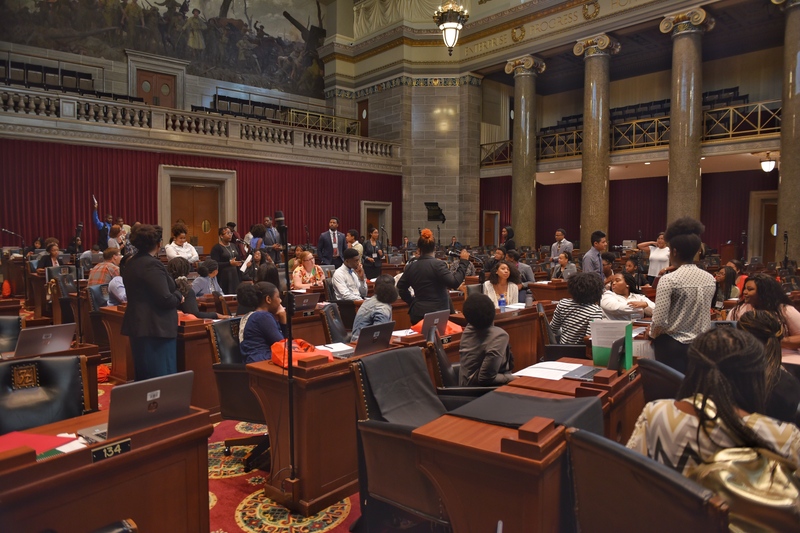 Students were housed on the MU campus and worked closely with university administrators, professors, doctoral and undergraduate students, and state legislators throughout the conference, which took place June 24-27. Several members of the MLBCF joined students for portions of the conference, including, Rep. DaRon McGee, Rep. Steven Roberts, Rep. Clem Smith and Rep. Tommie Pierson, Jr. Informal dialogue sessions provided participants with opportunities to hear firsthand about the legislators’ experiences with researching bills, leveraging internal and external support and crafting meaningful debate points. Rhodesia McMillian, IDE associate director for K-12 Access, Programming and Engagement, works to coordinate the conference and says face-to-face interaction with legislators is critical when working with students to help them better identify with various roles in the legislative process. Sen. Shalonn “Kiki” Curls, Rep. Gail McCann Beatty, Rep. Bruce Franks, Jr. and Kevin McDonald, MU Vice Chancellor for Inclusion, Diversity & Equity, and UM System Chief Diversity Officer, also served as guest speakers and challenged participants to think critically about their role as student leaders. Participants were also exposed to a college preparation workshops led by Mizzou Admissions, faculty and staff, a campus tour and student-mentor advising sessions. Since 2016, IDE’s Access and Leadership Development unit has coordinated the conference with the goal to promote civic participation and college access. The Emerging Leaders Conference is one of several programs designed to enhance MU’s ability to engage and impact students from underrepresented and underserved populations throughout various stages of the K-20 pipeline.